Tottenham repeated their April annihilation of Stoke with another 4-0 win at the bet365 Stadium which maintained their unbeaten start to the season. Spurs had only won once since thrashing the Potters at this venue five months ago when they looked like champions-elect and this was a performance in the manner of both that day and their late-season run. Heung-Min Son, brought in for Erik Lamela after he played for Argentina in midweek, scored with two first-time finishes either side of the interval and England internationals Dele Alli and Harry Kane, both of whom scored doubles back in April, then found the net for the first time this season. It was Kane's first in 10 games for club and country and his 50th Premier League goal in 87 top-flight appearances as he reached a welcome landmark ahead of the start of Spurs' Champions League campaign next week. 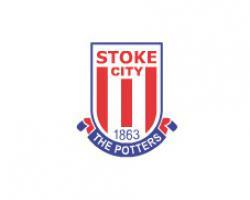 Defeat for Stoke ensured they remain rooted to the foot of the table and manager Mark Hughes had an elevated view for the second-half destruction having been sent to the stands by referee Anthony Taylor before the break. Hughes' early-season frustration with referees carried into a second month on a day when his pre-match programme notes included a moan over penalty decisions given against the Potters in previous fixtures. The Welshman was furious over the spot-kick awarded to Everton in their defeat prior to the international break, which followed two debatable penalty calls in the loss to Manchester City. The source of his angst this time centred around a move which ended with Marko Arnautovic's booking for diving after he flopped to the deck despite Kane withdrawing his leg. Arnautovic was cautioned by referee Taylor, who was then called over to send Hughes to the stands for the verbal abuse he appeared to direct at fourth official Jon Moss. Hughes' mood did not improve as he struggled to find his route to the stands and he eventually walked along the touchline, geeing up the Stoke support before heading down the tunnel. And he may not have taken his new seat by the time the visitors broke the deadlock through Son four minutes before the interval. Christian Eriksen stabbed the ball across Joe Allen from the right and found Son, who had peeled off to the centre of the box where he guided a sweet first-time finish into the far corner of the net. Spurs could well have been ahead earlier had Son been awarded a penalty after being tripped by Geoff Cameron, while Alli fired a glorious chance wide just after that, and they went through the gears to put the game beyond Stoke after the break. The Eriksen-Son combination worked again to double their advantage as the latter bent a beautiful effort over Shay Given in the Stoke goal and it was 3-0 before the hour when, at the end of a counter attack down the right, Kyle Walker crossed for Alli to sweep home. Tottenham's fans taunted their hosts with chants of 'Stoke City, it's happening again' and a fourth always looked likely as Eriksen brought a decent near-post save out of Given. That goal came with 20 minutes to go through Kane after he applied a simple finish to Son's cross having first miskicked an attempt from Eriksen's cross on the other flank. Mauricio Pochettino then prevented further damage from being inflicted as Kane and Eriksen were substituted to keep them fresh ahead of Monaco's visit to Wembley in midweek.